If you've used a microcontroller (such as an Arduino), you probably realize that there is beauty in its simplicity. When you give it power, it (almost always) begins running your code right away without any hassle! 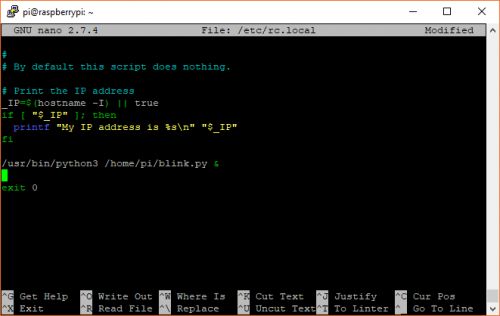 The same simplicity does not hold for full-fledged computers, like a Raspberry Pi. Because systems like the Pi run an operating system (Linux), many things must occur in the background before you're able to run your own code. While general purpose operating systems are extremely powerful and offer a lot of flexibility to users, it requires extra effort to tell the system that it should run your program right after booting. In it, we show three methods for scheduling a Python program to run right after startup along with some troubleshooting tips in case it doesn't work on the first try. While the tutorial is more thorough, below is the abbreviated, TL;DR version. If you need access to graphical elements (for example, you are making a dashboard with Tkinter), you will need to wait until the X Window System has started before running your program. 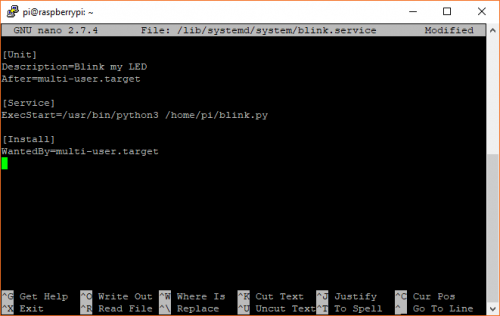 The easiest way to do that on the Pi is to use the autostart system (which is included with LXDE, the graphical desktop environment in Raspbian). autostart runs a script located at /home/pi/.config/lxsession/LXDE-pi/autostart for your user (pi) each time the desktop environment is started. 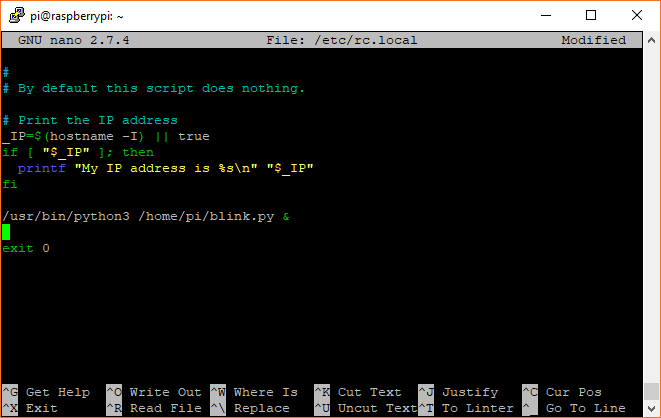 It then looks for .desktop files located in /home/pi/.config/autostart to run. 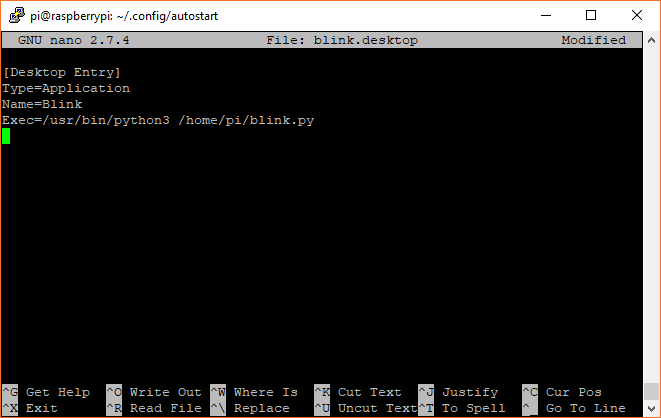 To use autostart, we'll make our own .desktop file with our arbitrary blink.py program. systemd is a more robust way of creating services to run your programs, but it is more complicated to use. While it is intended to start programs in the background, independent of any user-level desktop environments, you can still create unit files for systemd that wait until networking, graphics, etc. or just brute force restarts until the program runs (see the systemd section in the full tutorial for more information). Because it's Linux, there are many ways to accomplish a thing, and starting a program on boot is no exception. Other methods exist, including SysVinit and crontab. What is your favorite method for running a program on startup with Linux? Crontab @reboot is also another easy method too! Was about to say the same thing. I like having all the scheduled programs in the same place. Nightly stuff, @reboot stuff, all in crontab. Good to know there's lots of love for crontab. I'm always curious to know what people use! Related sidenote: If you want something to happen just once at a particular time in the future, see the Linux at command. One other thing: If you have problems with @reboot stuff coming up before all of the other stuff is done, stick in a sleep statement into your script to delay your program a few seconds, e.g., "sleep 15" will give an extra 15 seconds. Valuable guide! Much obliged to you for composing it, Shawn. Do you happen to realize how to have any of these strategies run a python program as a root client? My program requires here association with One Wire gadgets and I trust it can just do as such when I run the program with sudo. Useful guide! Thank you for writing it, Shawn. Do you happen to know how to have any one of these methods run a python program as a root user? My program requires interaction with One Wire devices and I believe it can only do so when I run the program with sudo. Very helpful, very clear. Thank you. Haven't tried it!... but will be my first port of call when I need this. I particularly liked the setting out of the options, complete with pros an cons. One question, Shawn: Although I've done several projects using RPis, I haven't done any (yet) where I'd like to have the display NOT turn off after a period of no user activity (such as a mouse movement or keyboard click). A simple example would be the "clock display" you mention. If you know how to do this off hand, it could save me some time trying to dig it up! Thanks, Shawn! I'm working on a presentation which I'm planning on running from a Zero connected to the projector in order to convince the audience that it's a "noticable" computer... having it "go blank" while I answer a question is not "good form".